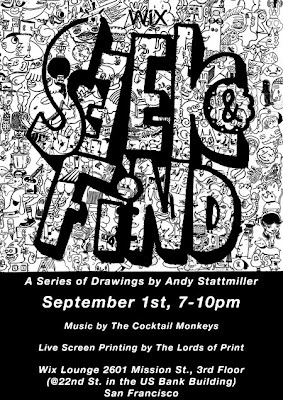 Seek and Find! My solo show at WIX Loung SF! This show is going to be nuts! 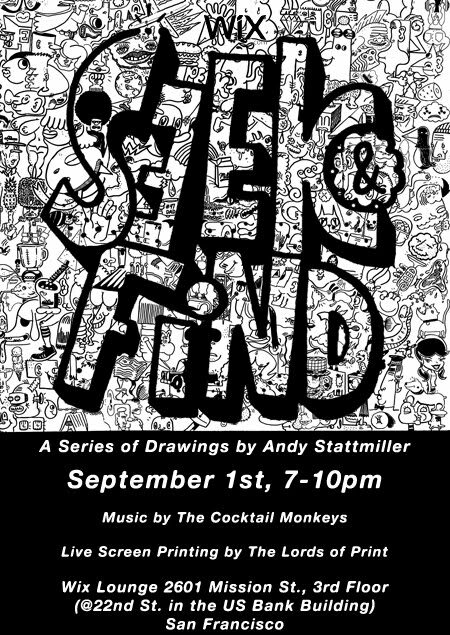 It's called Seek and Find because it's an interactive art show. The viewer participates in seeking and finding things in the pieces. Whoever finds all of the items on the sheet will be awarded a great prize (to be determined). There will also be live screen printing from the fine folks at Lords of Print. And providing the jams are The Cocktail Monkeys and Dj Mojo. Oh and also, there's live art too. So come on out for all the festivities! Hope to see ya there! 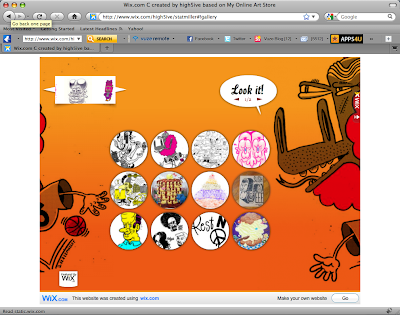 Check out wix.com! They have all the tools you need to build a FREE flash website. Click on the image above and check out my portfolio made using WIX!